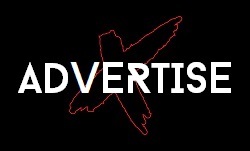 Official bio: “River of Snakes is a heavy Alternative-Rock band that writhes with venomous noise, wild lead breaks and a pulsating full blooded beat. Their sound is essentially straight ahead primal rock’n’roll, but it is tempered with shards of darkness, feedback/noise, dynamics and melodic punk-pop. Raul Sanchez best known for his role as guitarist in Magic Dirt and Midnight Woolf, Elissa Rose from the powerful and grungy The Loveless and Dante Gabriele drummer for Midnight Woolf and experimental noiseniks Silence Dead Silence, have joined forces to form this powerhouse trio that blends and sublimates the various elements of their respective bands into a coiling flow of electric mutant rock. In their 23 show history, the band have played with the likes of Jebediah, Kim Salmon and the Surrealists, You Am I, Baptism of Uzi, Useless Children, Zeni Geva (Japan), The Stabs, Warped, The Nation Blue, Spencer P. Jones, Scull Hazzards and more. 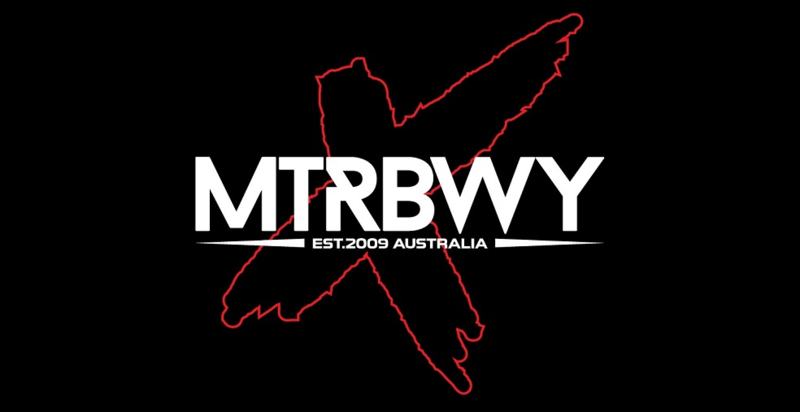 For those of you in NSW and the ACT, you will be able to catch River Of Snakes on their EP launch tour on September 8th in Sydney, September 9th Wollongong and September 10th in Canberra, whilst hometown Melbourne will get their turn on September 17th. All the show details contained below. Check out our interview below with the bands lead vocalist and singer, Raul Sanchez. Hey Raul, thanks for chatting to us about the River Of Snakes. Firstly, describe what River of Snakes is all about and what led to you forming the band? Well basically we are a heavy, rock, noise kind of punky band. When Magic Dirt kind of finished playing about two years ago, I started playing with a friend of mine on Sundays, just to kind of keep playing and do something. When we started doing it, it was the two of us on guitar and pretty relaxed, then one day he (Matt Sonic) pulled out his drum kit and I pulled out my big amps and we said let’s crank it and have some fun. Pretty much from that day we started writing songs, which then turned into River Of Snakes. Then we got Elissa on board, but unfortunately that friend of mine Matt Sonic, had to move on as he had his own band. So I asked another drummer to play, Dante and that’s the lineup. Dante on drums, Elissa on bass and myself on guitar and vocals. Well I think we have now done 23 shows in less than a year with our first show in September 2010. 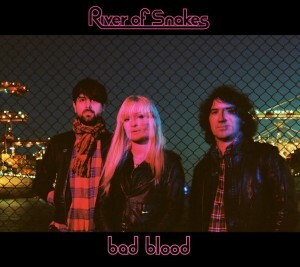 Ok, an obvious question, but what of the band name River Of Snakes, how did you decide on this being the name for the band? Well I tend to like names that are slightly ambiguous but at the same time very strong. So I always wanted to have River in the name, I love the concept of river and how it’s like time and flowing and that kind of thing and I was throwing around all these ideas with river. There was Dead River but that’s a bit obvious and one day I was driving down the Otway’s and came across a place called Snake River, which I thought, sounded cool so after swapping words around, I came up with River Of Snakes. Thus far, how have you found going from the established environment so to speak of Magic Dirt, to the back to basics of starting a band from scratch? Well it’s easy in a sense because you have done it all and you know what needs to be done. You also have an established reputation as well which helps with certain things. But at the same time it’s been hard because you have to kind of start all over again. We’ve always lugged our own gear and stuff, but I wouldn’t say it was easy haha! 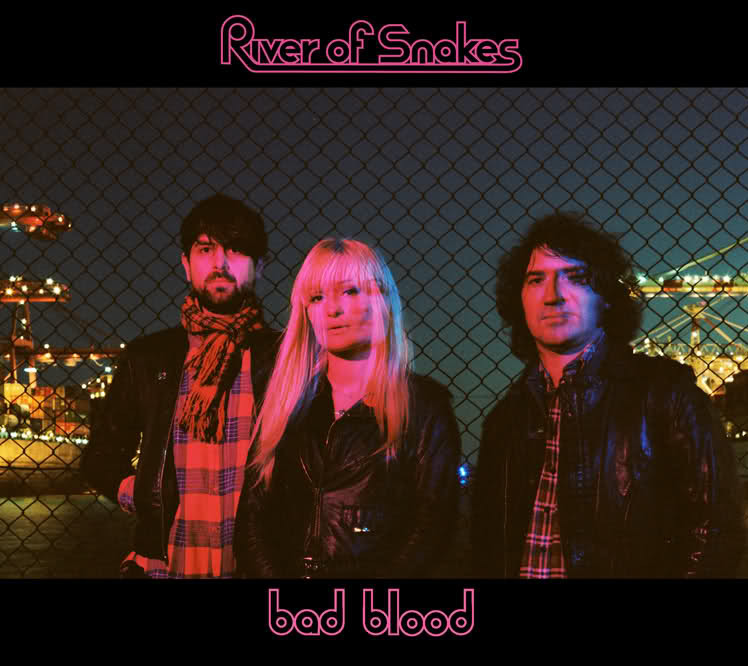 You have recently released your EP titled Bad Blood…tell us a bit of the origin of the songs on the EP, were these some songs you had lying around waiting for the right moment, or did you write them specifically for River Of Snakes? The songs in the EP, besides one, were all written when Dante joined the band. They were the first things that came out when he joined. Those songs are very fresh, I tend to write something and give it a go and if it sticks we will go with it, if not I will let it go and move on. I don’t tend to have a back catalogue of songs, I will tend to discard them if they are not working. What of the song writing process for River Of Snakes, is that something that you largely do yourself, or are Dante and Elissa also involved? Basically I will come up with the main riff or chord progression and have the start of some lyrics or a concept of what the song is about. Then we will take it to rehearsal and nut it out and give it the structure and form. So yeah, we all end up fleshing the song out from my initial ideas. What would you say are the trademark ingredients of a River Of Snakes song? Well I like it to have some dissonance, but also balanced against some kind of pop sensibility and also some heaviness. I like simple, basic stuff. That’s the way I am, I am not a convoluted person. So simple and to the point. Lyrically, what inspires the songs of River Of Snakes, or do you keep that a bit of a mystery? Well they are all based on my experiences, it’s kind of lyrically all about what’s going in my life. There are no big abstractions, although I do tend to believe that the artist as a person is not really the source of the material. I don’t know where it comes from, maybe my sub conscious? I try not to put too much control in things. I have pages of things I’ve written in my diary and poetry and stuff and I will grab bits from here and there. If it works together rhythmically and sound wise, I try not to mar it too much with the whole what does it mean, or what doesn’t it mean? You recorded the EP at Birdland Studios in Melbourne with Rob Long who you have worked with in the past on Magic Dirt stuff. Was this a pretty obvious combination then as far as using Rob on this album and recording it at Birdland? Yes that was really easy. Rob and I get along really well and we have worked together before. Being at Birdland is like being at home, so it’s very easy and very natural. I love what Rob does and we work well together, so it’s a natural kind of team choice. So what were you looking for on this EP as far as the sound and recording process went, did you use River Of Snakes as an opportunity to maybe try some things you previously haven’t had the opportunity? No I didn’t really break any new ground. Basically the way I work is record and do overdubs and if anything it was concentrating more on me as a singer. Although I have sung some things in Magic Dirt it’s a different role to be the front person. How have you personally handled the transition to the role of frontman in River Of Snakes, has that been something that required any real settling in for yourself? No not really as before Magic Dirt I had another band (Muffbox) where I was that front person so I have been familiar with that role. The hardest thing is your voice is something that you can’t really hide behind. With a guitar, it’s basically you plug it in, it’s electric and it makes a sound. Your voice is pretty naked so you have to kind of re-learn, so it’s been a process of getting more confidence. Are there plans afoot to release more than just the EP, have you been writing with the intent of releasing an album? At the moment we are concentrating on the EP. 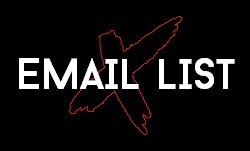 An album would be nice, but at this point we haven’t really talked or got any major plans. We will throw the EP out there, see how it goes and keep playing shows and build up that fan base which is the really important thing now. So you are going to be up in Sydney on September 8th to launch your EP, Bad Blood, how has the reception to the band been so far around the country? So far we have only played in Adelaide, which that was really good. It has surprised me how the fans and the people who have been at the shows like the songs and like the band, so it’s been great. So we are doing Sydney on the Thursday, Wollongong on Friday, and Canberra on Saturday. So the major epi-centres of the world will be covered! But we will just keep touring and we will get to Brisbane and Adelaide again and there are thoughts of going overseas but we will wait and see what happens. Do you have a favourite show out of your 23 shows so far? There’s one that stood out which was about halfway through those 23 shows and it was at the Old Bar in Melbourne which was nicely crowded and it was like the show that we really hit our stride and connected with the crowd. It was like cool, we’ve arrived, and it felt really good, the band played great. We were the last minute support for Jebediah at the Corner and it was good as it reminded me of some of the old Magic Dirt shows, but the Old Bar was the one that definitely stands out overall. So what is the status of your other bands, Magic Dirt and Midnight Woolf, what can you update us about with these bands? Well Midnight Woolf we have been working on a new album now for a while, but the time I could have spent on that has been taken up with River Of Snakes. But we are planning to keep playing and we are taking a little break to work on the album, which will come out early next year. Magic Dirt that’s an indefinite hiatus. Adalita has got her solo thing going and that’s going well. Every time we talk about it or its just way to hard to consider anything. We miss Dean terribly and as I said before we kind if feel like a ship without a captain. So we will just wait and see basically. Well Raul, thanks for your time, hope you have a great shows in the epi-centre of the world next week! Haha, thanks mate, you take care! Band members: Raul Sanchez (Magic Dirt, Midnight Woolf, Muffcake), Elissa Rose (The Loveless) and Dante Gabriele (Midnight Woolf, Silence Dead Silence).